It seems that T-Mobile customers are getting a slightly different version of the Samsung Galaxy S3 than other carriers, preventing it from being LTE compatible. A T-Mobile spokesperson confirmed that Samsung's new flagship smartphone is equipped with different chips for the carrier that do not support LTE networks. 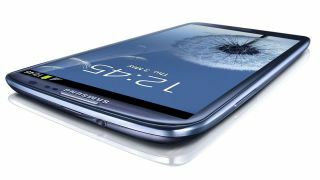 "T-Mobile's version of the Samsung Galaxy S3 is not compatible with LTE, as it contains a different chipset than competitors and runs on T-Mobile's HSPA+ network," a T-Mobile spokesperson told TechRadar. T-Mobile's 4G devices currently run on the carrier's HSPA+ network. HSPA+ isn't necessarily a bad network, as the carrier reminds us that "T-Mobile's HSPA+ network is performing competitively with current LTE networks from other carriers." Despite HSPA+'s comparable speed, the industry is making a shift toward a unified LTE framework. And it's a shift that T-Mobile plans to join with its own LTE network in 2013. "However," the spokesperson added, "T-Mobile plans to launch LTE in 2013 and expects to reach more than 200 million Americans with LTE by the end of 2013." T-Mobile recently struck a deal with Verizon that expanded its AWS spectrum holdings, which will go toward the carrier's LTE launch. T-Mobile's existing HSPA+ network currently covers more than 220 million customers in 229 markets.